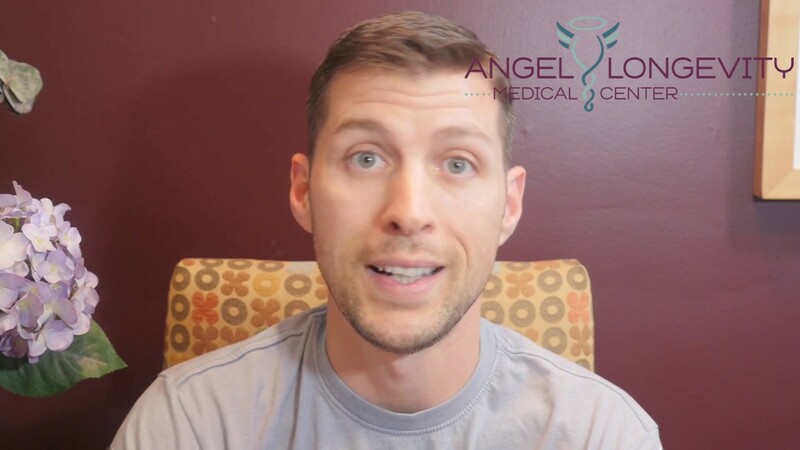 Angel Longevity Medical Center believes that our Los Angeles HRT for men treatment is the key to a man’s vitality and longevity. There is no need to watch your lifestyle decay as you age. We will help you regain your youthful vitality and make life enjoyable again. Reclaim your best life – on your terms. Did you ever hear of grouchy old men? Men can suffer from hormonal imbalances just as women do. As men age, their testosterone levels steadily decline once they hit 30 and then dramatically drop in their 40′s and 50′s. Growing older is hard enough for men, without having to needlessly suffer from declining testosterone hormone levels. This is called andropause or male menopause, as the aging process and symptoms are similar to those woman experience during perimenopause and menopause. The difference is that the decline in hormones for men is not as sharp and sudden as a woman’s decline during menopause. They may not feel drastic physical changes, but rather experience small dips in their energy levels, stamina, mental function, and sense of wellbeing. Andropause is the period in a man’s life that is marked by a drop in the levels of the male hormone, testosterone. Normally occurring between the ages of 45 and 55, andropause is a slow, steady reduction in testosterone levels. Increased muscle mass can be a result of balanced testosterone levels due to Los Angeles HRT. This is because testosterone has a direct effect on muscle building. The hormone forms red blood cells, which are needed to increase muscle strength and tone. Improved sexual function can occur with balanced male hormones. Testosterone governs sexual function and reproduction, and with low hormone levels, men may experience low libido and erectile dysfunction. Balanced testosterone can improve both of these issues. Improved mental acuity occurs as hormones come into balance with HRT. A decline in human growth hormones, testosterone, aldosterone or thyroid hormones in men often results in diminished mental prowess. This can affect your ability to negotiate in the boardroom, crunch numbers at the stock market or argue your case in court. Reduced body fat is another benefit of balanced testosterone. Increased body fat can boost estrogen and suppress testosterone. This reduces the amount of active testosterone in the blood, which in turn continues to increase estrogen. This cycle can be broken by balancing testosterone levels with HRT. Healthier emotions are another valuable benefit of healthy testosterone levels. Hormones affect brain chemistry, and imbalanced hormones can disrupt the functions of neurotransmitters that carry messages of calmness. Balanced hormones can improve brain chemistry, which can help many men reduce anxiety, depression, and outbursts of anger. Thicker hair may be the result of healthy levels of testosterone. When testosterone levels are low, another form of DHT (dihydrotestosterone) can increase and cause hair follicles to die away. Increasing free testosterone helps preserve hair follicles and increase the thickness of hair. Increased metabolic functions is another benefit of balanced male hormones. Often, aging men experience metabolic syndrome because of slower metabolic processes. Some of the symptoms of this syndrome can include increased abdominal fat, blood pressure, triglycerides, cholesterol, and insulin resistance. Balancing male hormones with HRT in Los Angeles may increase metabolism and reduce the symptoms of metabolic syndrome. HRT: How does it affect your disease risk? Although treatment with HRT has been around for 70 years and is generally considered safe and effective, there are a number of important issues – ranging from cardiovascular and lipid alterations to hematological changes – that the physician needs to be aware of. Unquestionably, prostate safety constitutes the most important one. No evidence exists that appropriate androgen administration with knowledgeable monitoring carries significant or potentially serious adverse effects on the prostate gland – according to an article published in the Journal of Endocrinological Investigation in 2005. The current evidence does not support the view that appropriate treatment of hypogonadal elderly men with androgens has a causal relationship with prostate cancer according to an article published in European Urology in 2002. The possibility of an increased risk of prostate cancer for healthy men has been suggested on a theoretical basis, but recent experimental data showed that androgens may actually act in prevention of prostate cancer. Lower testosterone and higher estrogen (E2) levels correlate with an increased risk of cardiovascular disease and CV mortality. Testosterone replacement therapy in men with low testosterone levels moderates metabolic components associated with CV risk, thus reducing the risk of mortality and disease. Testosterone deficiency increases the risk of mortality from type 2 diabetes. Our Los Angeles HRT for men improves survival in patients with type 2 diabetes, as shown by several clinical studies. Low testosterone is also linked to a long-term risk of death in relatively healthy adult men: Endo 2007: The Endocrine Society Research Summaries Book June 5, 2007. This study is another major report linking a deficiency of testosterone in relatively healthy men with an increased risk ofdeath from all causes, over time. “We have followed these men for an average of 18 years and our study strongly suggests that the association between testosterone levels and death is not simply due to some acute illness,” said Gail Laughlin, Ph.D., assistant professor and study author. Thus the positive effects of HRT are limitless in men with low to normal hormone levels and often include improved sexual performance, improved lipid and cholesterol levels, increased prostate health, better blood sugar balance, healthier moods and outlook, increased focus and concentration, more strength and energy, improved well-being, greater libido, reduced aches and pains, better quality of sleep, and improved muscle mass. As a patient of Angel Longevity Medical Center, you will work closely with Los Angeles HRT and hormone replacement specialist, Dr. Anju Mathur. She will evaluate the body’s hormone levels, which are typically obtained through blood tests performed by a lab. Saliva or 24-hour urine tests can also be employed for a thorough evaluation of a man’s hormonal status. After reviewing an extensive hormonal questionnaire, a physical exam relevant to hormonal deficiencies, and appropriate lab tests, Dr. Mathur will provide treatments for male hormone decline, which will usually involve HRT to help our male clientsboost their health and overall wellbeing. Bioidentical HRT for men may be prescribed in various forms, including transdermal or transmucosal creams and gels, and injections. Once the treatment has begun, the breakdown products or metabolites of these hormones are carefully monitored by Dr. Mathur. She very carefully adjusts the doses to the physiologic levels and confirms that the metabolites are balanced. In the case of testosterone replacement, levels of downstream metabolites, DHT and estradiol are monitored and balanced to optimal levels. This avoids the pitfalls of the aging metabolism of hormones in men, and prevents supra physiologic dosing. We strive to bring back your sense of homeostasis within the body, thus restoring optimal wellbeing. We are not interested in treating lab numbers of hormones. We treat you -- not the lab. You will be closely monitored every month for the first few months – which is associated with two key benefits. The first is that your hormones are balanced precisely, and secondly, you get educated in the process of your own hormonal balancing journey. It is our strong belief that an education in how your body functions is key, as we are not born with a manual of how to run our bodies. This puts you in the driver’s seat and lets you navigate your own well-being in the future. The “hormone balance for life” program balances your hormones for real. Get on it! My treatment from Dr. Mathur has been the most incredible medical assistance I have ever had. I have experienced physical and mental rejuvenation of a quality that made me feel 13-years-old again. The clarity of my thinking has improved, along with my sense of wellbeing. I recommend this program to anyone who wants to feel young and energized again. Thank you, Anju, I am very happy that you are here. Learn how to overcome the symptoms of andropause and male hormone imbalances by calling Los Angeles HRT specialist, Dr. Anju Mathur at 818-294-7123 to set up an appointment. Are your symptoms bringing you down? Do you have questions about HRT for men? Are you ready to begin feeling better, longer? Please call us at (818) 237-3943 for a complimentary,15-minute phone consultation with a Los Angeles health counselor, or if it's after hours, please fill out the form below and we'll get back to you within one business day.